Country Deli: Crafting colossal sandwiches isn’t what we do, it’s what we’ve done, with zeal, for nearly 30 years. Our new location just south of milepost 9.5 on the bypass has spacious indoor and outside seating. Our entire menu, including party trays and 3-foot party subs, is available for take-out and yes, we do deliver – even to beach accesses, in Kill Devil Hills & Nags Head. 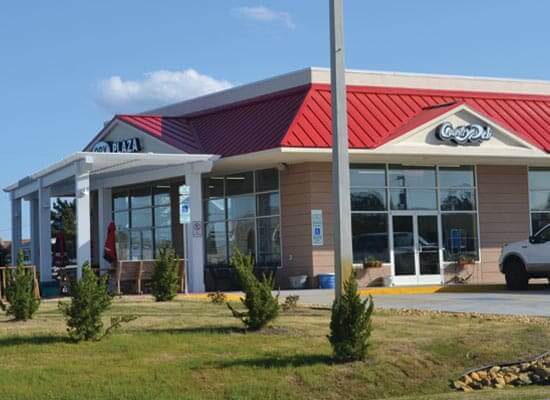 Country Deli has earned an impressive reputation for our efficient and affordable Outer Banks catering program. Whether its a regular day when you have many mouths to feed or a special occasion, our party trays and subs are casual, delicious and guaranteed to satisfy a team of appetites. For more information or to schedule your catered meal, please just call!